Inheriting dance.’ An invitation from Pina. I have had an ongoing interest in archiving dance for almost three decades, fuelled in particular by curatorships at the National Film and Sound Archive and the National Library of Australia in Canberra, and the Jerome Robbins Dance Division at the New York Public Library for the Performing Arts. They were three quite different experiences, especially in relation to the kinds of format on which dance is, or might be, recorded and how these formats are, or might be, preserved; and also in relation to the strength of focus on dance (or lack of it) I encountered at each of these institutions. 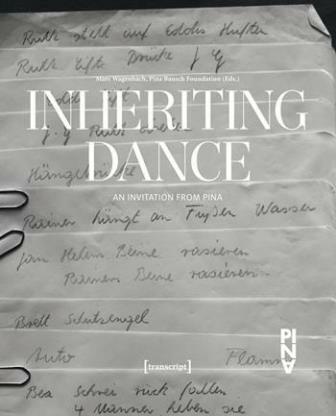 The book Inheriting dance: an invitation from Pina, published by the Pina Bausch Foundation, was a chance to be reminded of the problems that face us if we want dance to be preserved for future generations. And of the pleasures encountered when positive steps are taken. 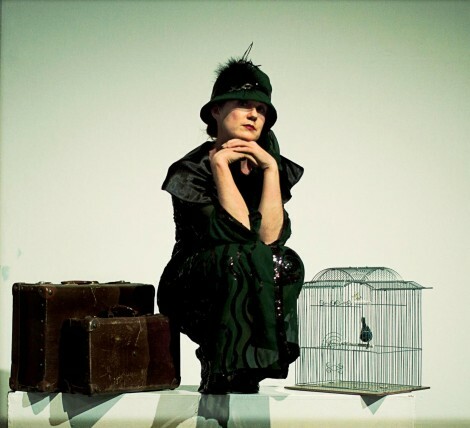 Archiving was part of her choreographic process, an essential element of her work. It was an attempt to retain the momentary and the transient, to be able to remember, in order then to once again create an artistic present. The Pina Bausch Foundation was set up shortly after Bausch’s death in order to carry on her heritage and find a way to archive her material so that it might remain a creative force in the future. Various archiving processes are discussed: the model of the so-called ‘static repository’; the ‘living archive’, that is one that is more open and collaborative; the idea of an archive being a ‘future workshop’; and other ideologies relating to interdisciplinary approaches and digitisation strategies. The book gives some interesting examples of how the current Bausch archive has been used to bring certain Bausch works to the stage. I have to admit, however, to being most fascinated by a chapter by Royd Climenhaga relating to the reception of Bausch’s works in America. The juxtaposition he sets up between German and American dance traditions, and his discussion of efforts to incorporate Bausch’s vision into his own teaching and other experiences in America, make thought-provoking reading. On the subject of archiving dance, my experience has been that most dance collections fall, for a whole variety of reasons, including financial and time-related ones, into the category of ‘static repositories’. But they certainly don’t have to be ‘arcane models of scholarship and institutionalized academic projects’, although personally I like using them for academic purposes, and feel lucky that I can. Not enough academically-inclined folk realise that dance is a worthwhile area of study. But static repositories can also be used as ‘living archives’. And here I am thinking of some performances created by Liz Lea, artistic director of Canberra Dance Theatre using cross-disciplinary and cross-institutional resources from Canberra’s collecting institutions including the National Library of Australia, the National Film and Sound Archive and the National Gallery of Australia. Lea, I am sure, is not the only choreographer using dance resources from static repositories to create work, although I realise that this is a little different from recreating the work of a particular choreographer now no longer alive, as is the aim of the Pina Bausch Foundation. I guess I am arguing for the role of all models of dance archives to be treasured and developed. In that context, this is a book worth reading by anyone who is interested in how dance will be perceived, created and recreated in the future, as it is, of course, for anyone interested in how one organisation is undertaking a particular project. This book is distributed in Australia and New Zealand by Footprint Books and is available through bookshops or direct from Footprint. See also the website (still partially under construction I think) of the Pina Bausch Foundation at this link. Featured image: Book cover, Inheriting dance. An invitation from Pina.